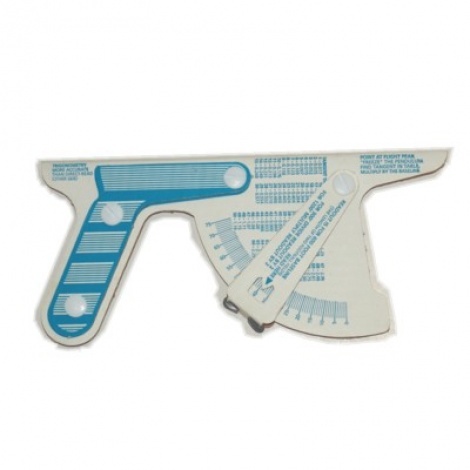 This assembled Quest Skyscope "clinometer" is used for estimating the altitude of your rocket, or for that matter, the height of any other object. The instrument is calibrated to provide instant altitude reading when using a baseline (distance from the user to the launch pad) of 183 metres (600ft). Or, because the Skyscope has a table of tangents pre-printed thereon, the user can determine the rocket's altitude no matter what length your baseline distance is, by simply reading the angle, and using trigonometry to calculate the measurement. A great tool for use in the classroom and out on the range!